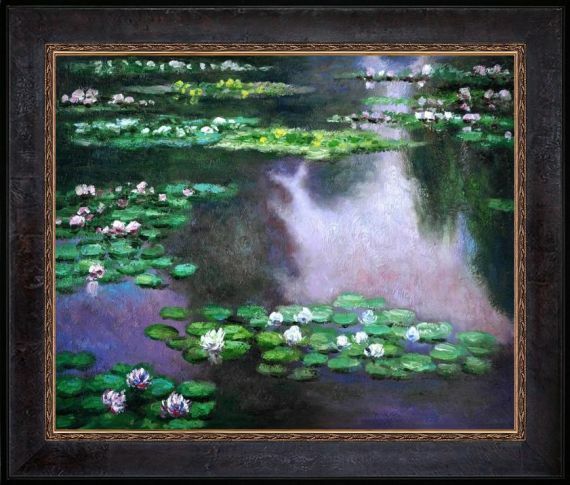 Sambrosa Distressed Espresso 20" X 24"
20" X 24" Oil Painting On Canvas Easily recognizable, Water Lilies by Claude Monet has been carefully redone to near perfection with color and brush stroke detailing. 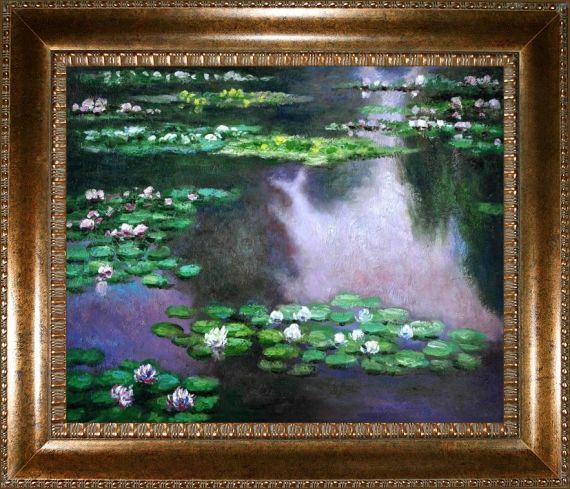 The Water Lilies painting is actually a series of 250 oil paintings by Monet. 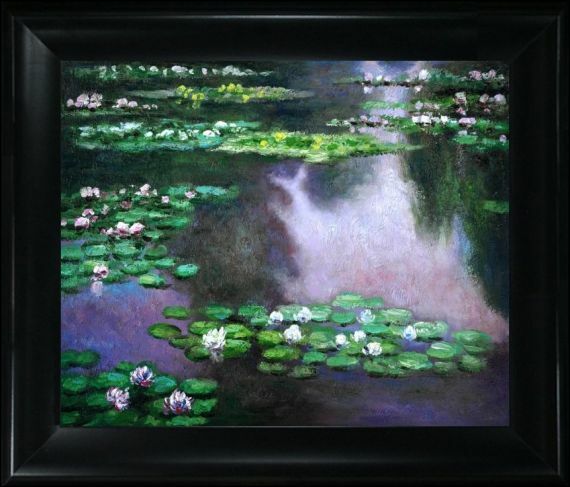 They depict Monet's garden in Giverny and were the main subjects of his paintings later in his career. 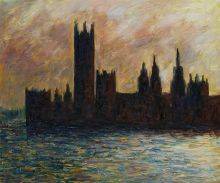 Monet, a French Impressionist, was born in Paris is 1840, and pursued his passion for painting from the start befriending fellow Impressionist artists. 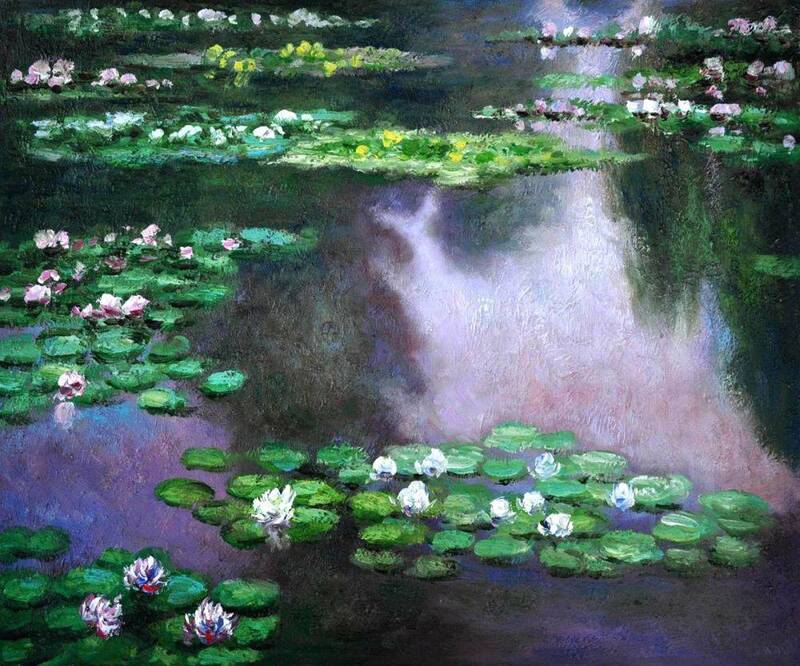 The outdoors clearly inspired Monet to take most of his subject matter from nature's beauty. 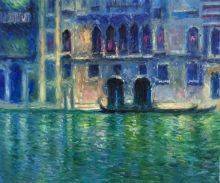 His use of realistic colors and attention to detail still inspire painters today. 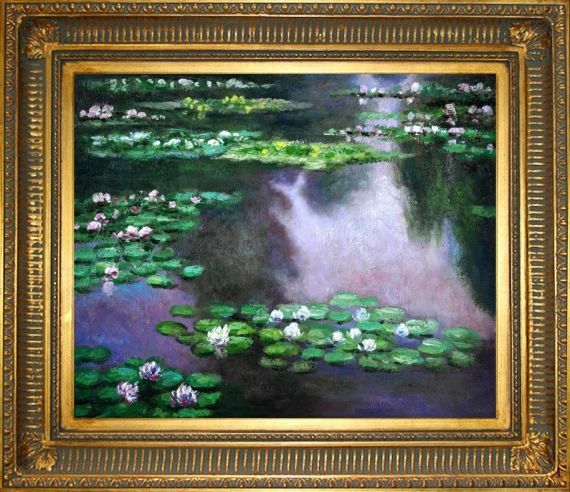 This beautifully reproduced painting will work in many rooms in your home. 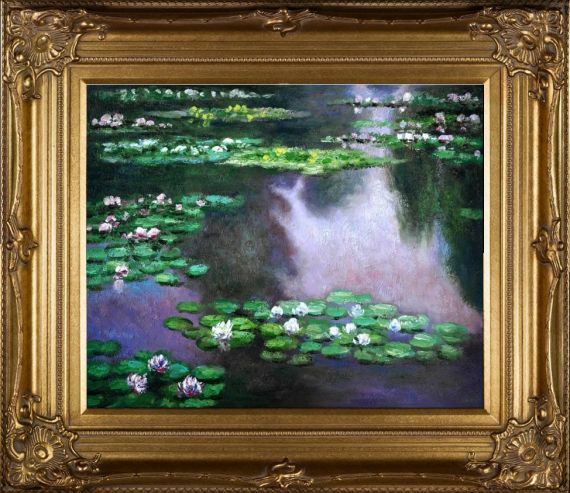 Order it today and start your own collection of Monet masterpieces.